I'm sure that all of us, at one time or another, have wished for an instant acne treatment to get us through the next 24 hours zit-free. Lucky for us, we're living in the 21st Century, and the Zeno zit-zapper is reported to be just that kind of miracle cure! So how is it supposed to work? Acne is a condition of the sebaceous glands, tiny glands that link to hair follicles and produce sebum to lubricate and protect our skin. In a normally functioning follicle, sebum climbs to the surface of the skin via a hair. If the pore is open, sebum keeps moving through the pore and onto the skin. Sometimes, however, a pore can be blocked off by dead skin cells or excess oil. In this case, sebum is trapped within that pore, along with natural skin bacteria. Although the exact mechanism of this response is still under debate, this bacteria gradually triggers an inflammatory reaction in the skin, leading to the redness and swelling associated with acne. Often the pressure or initial irritation of a blocked pore can be felt before a pimple fully develops, and it is on this principle that the Zeno works. The Zeno is a handheld rechargeable device that uses heat to treat individual acne blemishes within four to twelve hours of when the blemish first starts to appear. The basic premise is that heat reduces inflammation, and in the case of acne, 119 degrees of heat disables the bacteria inside the pore without damaging the skin. The heat is also thought to increase blood flow to the inflamed area, which helps to heal the skin more quickly. The Zeno applies this heat consistently for two-and-a-half minutes, for between one and three treatments per pimple with at least an hour in between heat applications. According to studies conducted by Tyrell, Inc., the company that created the Zeno, over 90% of the patients that treated early pimples with Zeno experienced fading or a total disappearance of the pimple within the 24 hours following treatment. There are a few catches to the Zeno. It is most effective on mild to moderate acne, but has no effect on whiteheads or blackheads. This makes sense, because there is no inflammatory reaction to be stopped and because the core to the blemish is already well-established. The Zeno is also best used on cases of acne where there are only a few pimples developing at a time. The more pimples, the harder it would be to identify and treat them within the early-formation phase, and so the Zeno probably wouldn't have the desired effect. Last but not least, the Zeno sells for quite a hefty fee (I found it on one website for $225 USD + tax). 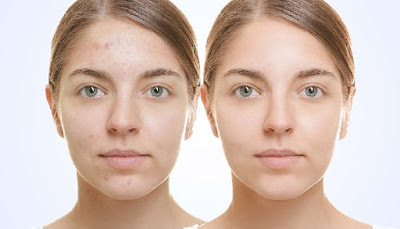 Those with occasional acne might not find that price worthwhile if their acne isn't all that bad to begin with. So what's the verdict--is the Zeno a miracle device? Kind of. The theory behind it seems sound, and for those with mild to moderate acne and a good skin care regimen, it sounds like the Zeno could be perfect for stopping the few pimples that squeak through daily treatment. However, the limited use dictated by pimple development and type mean that it is not as ideal an acne treatment for many of those suffering from acne. Furthermore, while addressing the symptoms, the Zeno does nothing to counteract the sources of acne, namely excess sebum production, androgen-sensitivity, and delayed sloughing of skin cells. If you fit into the mild-to-moderate category and you have some extra cash kicking around, the Zeno could be your new best friend. Unfortunately, however, I think most of us will have to keep searching.